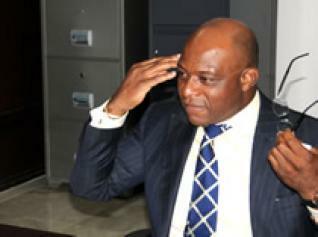 Leading Maritime stakeholder, administrator and former Director General of the Nigerian Maritime Administration and Safety Agency (NIMASA), Mr. Temisan Omatseye has called on the leadership of the agency to step up to its responsibilities in full implementation of the Cabotage Act, 2003, which aims to promote indigenous participation in shipping in Nigeria. Part III, section 9-11 of the Coastal and Inland Shipping (Cabotage) Act, 2003 provides for waiver on the requirements for ownership and manning of Cabotage vessels by Nigerians and also building of such vessels in Nigeria, where capacity is lacking. However, in order to encourage more indigenous participation, which is the essence of the Act, NIMASA is desirous of stopping these waivers and has put in place a strategic plan in that regard. It includes the New Cabotage Compliance Strategy (NCCS) under which certain categories of waivers have been suspended. Raising issues of industry importance at a stakeholders’ forum to work out strategies for the five year waiver cessation plan, Omatseye averred NIMASA was the only Agency recognised and mandated by the government to regulate and enforce shipping activities in Nigeria. He called on the stakeholders to cooperate with the Agency to realise the Cabotage implementation, saying it holds a huge potential to create jobs, add to the Gross Domestic Product (GDP), and bring about a boom in the economy. On his part, Mr. Neeraj Kumar of TMC Shipping Pvt, India, commended the efforts of the Agency to ensure the implementation of the Act, stating that the ports are critical to economic growth. Kumar pledged India’s willingness to collaborate with Nigeria, especially, in the area of shipbuilding. Other stakeholders who spoke at the event were Mr. Mike Igbokwe, SAN; Barrister (Mrs.) Obiageli Obi; and President of Nigerian Indigenous Ship owners Association (NISA), Mr. Aminu Umar. They unanimously applauded the efforts of the present management of NIMASA to actualise a robust maritime sector through various stakeholder-oriented programmes and promised their full support and cooperation. They also called on the Federal Government to support the Agency to ensure greater indigenous participation in the maritime sector. Earlier in his address, the current Director General of NIMASA, Dr. Dakuku Peterside, said the Agency was determined to ensure that Cabotage waivers were stopped in the next five years. Dakuku stated, “NIMASA’s mandate is all about promoting and regulating shipping in Nigeria and we have no intentions to stifle anybody’s business. Rather, we are committed to promoting, protecting and providing the enabling environment so that the local ship owners can grow and compete with their international counterparts. The DG, represented by the Executive Director, Maritime Labour and Cabotage Services, Mr. Gambo Ahmed, told the stakeholders that part of the strategy to bring an end to the issuance of waivers was to develop infrastructural capacity and human capital with respect to training of seafarers to attain global standards.